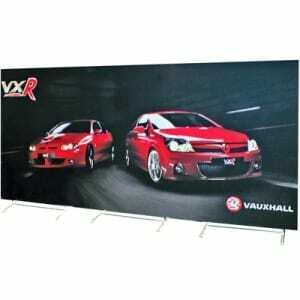 Fine grade aluminium stands and highly detailed printed fabric displays. Our service is something that we really are proud of. We aim to communicate with our customers to effectively deliver what is needed, every time, on time. Ensuring artwork is printed correctly and graphics are cut to high standards. 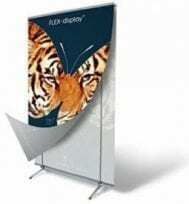 The FLEX-display system comprises a range of adaptable components in combination with digitally printed textiles. 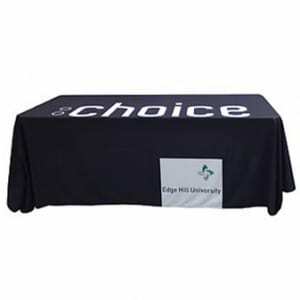 It may be used to create small and elegant display banner stands right through to giant portable backdrops with one-piece fabric poster graphics. 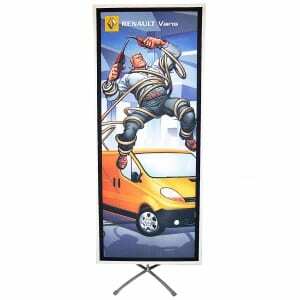 FLEX-display’s combination of lightweight portable aluminium hardware and fabric print together produce a striking display solution which is truly portable and very lightweight – starting at just 1.5kgs for a complete display banner stand! 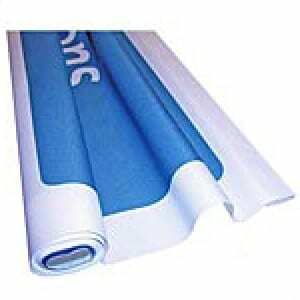 In addition to the FLEX-display range, we also supply printed fabrics with a selection of finishing and hanging options and a complementary range of products from a select group of suppliers with something different to say. 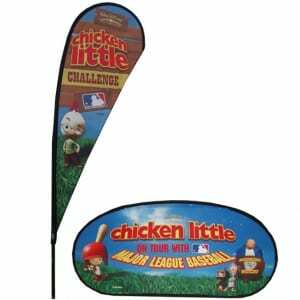 Whether you need to outfit a single store or a whole chain, need a backdrop for your exhibition stand or trade show, need sturdy banners for your outdoor event, we can produce one off high quality single banners or hundreds depending on your needs. The Exhibition and retail display markets are saturated with the same old, same old – roller banners and magnetic pop up displays. The world of fabrics offers many new display options.